Many Mindstorms books teach how to use the kit by teaching how to make particular robots which work in a particular way. While this is a good way to learn how to build a Mindstorms robot, it is limiting the kinds of robots you learn to build and how the knowledge can be applied beyond those limited projects. Alternatively, there is The Art of LEGO MINDSTORMS EV3 Programming, a book focused primarily on the actual programming of the Mindstorms EV3 rather than overall robots. 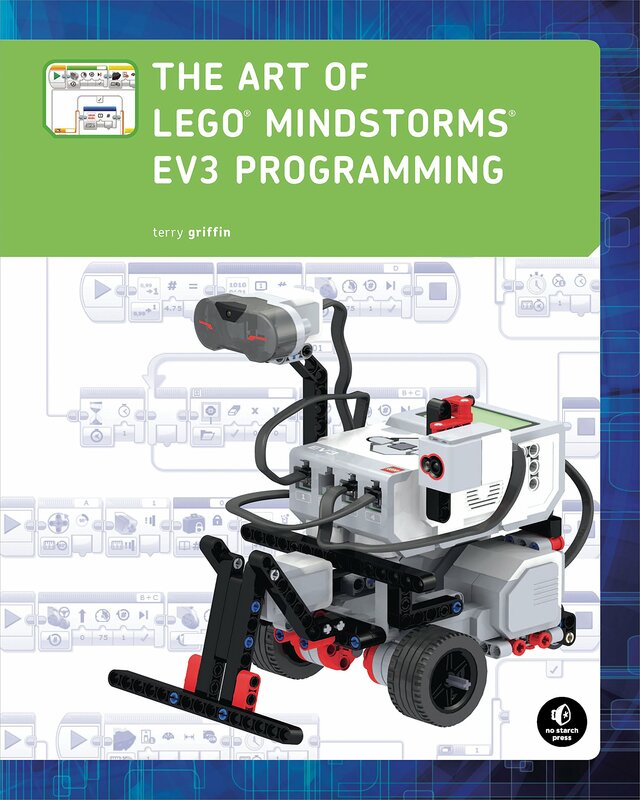 The Art of LEGO MINDSTORMS EV3 Programming by Terry Griffin is book focused primarily on the programming language used by the Mindstorms EV3. The first two chapters are an introduction to Mindstorms and the programming environment, followed by a third that shows how to build the Tribot, a robot that will be utilized to test all the programs in the book. A single robot that is flexible enough to demonstrate all the software in the book that is not overly complex and does not overshadow the actual learning to program. Once the robot is built, the book begins to explore the actual programming of it. Initially, the different motors and sensors are shown and taught how to be accessed via the code, but slowly the book moves on from there. Introducing more complexity into the programs, the book explores how to do more advance things using Mindstorms and how to access more than just the obvious things that make up basic robots. As a developer, the most impressive thing to me is how the book explores some more complex computer programming concepts and applies them to the Mindstorms. Arrays, structures, multitasking, and other programming constructs are explored and explained in the book, opening the reader up to programming more on the computer beyond the robots and the LEGO, so they can learn about real computer science. Most things I’ve come across about coding for LEGO Mindstorms EV3 have been very particular about building for specific robots (including LEGO’s own documentation), which is why I think this book is a great resource for people who aren’t looking to learn to build robots, but are looking to program more complex robots they want to build. The Art of LEGO MINDSTORMS EV3 Programming is the perfect resource for those looking to learn to program without the distractions of the hardware.